The Miracle Shammy is the quickest and most thorough washing and detailing product you'll find on the market today. 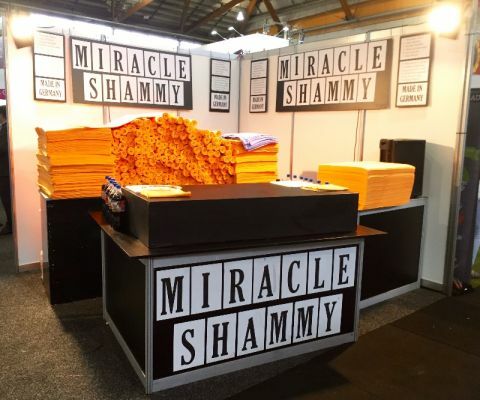 Used wet or dry it's extremely absorbent - the Miracle Shammy Cleans up big spills FAST! Washes, dries and polishes virtually any surface without scratching. Machine washable and bleachable and can be used over and over. Use as bath mat or dish cloth and does much much more!